Newport, Rhode Island, 1899, is a place of shimmering waves, sleek yachts, and opulent mansions that serve as summer cottages for the rich and famous. Home of railroad magnates and banking tycoons--dashing young men and the women who aspire to marry them. 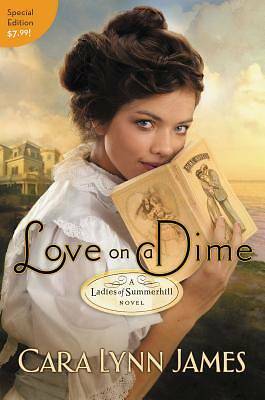 No one in Lilly's social set knows she pens fiction under the nom de plume Fannie Cole. Not her family or the wealthy young man about to propose to her. And especially not Jackson Grail, the long-lost beau who just bought her publishing company--and who stirs her heart more than she cares to admit.